Anjum Fakih was born on the 12th of September, 1987 in India. She began modelling at the age of 15 despite her mother’s disapproval. When she started acting, she appeared on MTV’s chat house show. Anjum came into the limelight after portraying a negative role in Ek tha Raja Ek thi Rani. She is a Muslim by religion. None. Anjum Fakih is single for now. Anjum plays the role of Srishti on this is fate. She as the last born of the Arora sisters, loves to argue with their mother on the slightest issues. Srishti is naughty, fun loving and dreams of becoming a supermodel. Anjum Fakih recently celebrated her birthday in a grand style with the atmosphere in a lot of merriment and fun. Time machine, devansh, kumkum bhagya, Ek tha Raja Ek thi Rani, kundali bhagya. 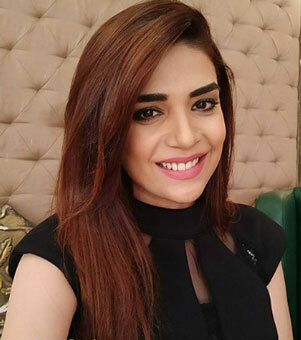 Anjum Fakih is still currently busy with her character as Srishti Arora on Kundali bhagya. The show airs on Zee TV in India.